One of the most promising ways to improve as a photographer is through the use of serial photography - a method that author Harald Mante has used and taught throughout his career. In Serial Photography: Using Themed Images to Improve Your Photographic Skills, Mante explains how to focus your photographic work on themes, objects, shapes, colors, and moods, rather than randomly searching for that one great shot. After putting his methods into practice, you will soon notice that you are able to train yourself to look at things in new and exciting ways. And by continuously adding new images to your collections, you will improve the quality of your photographic work. 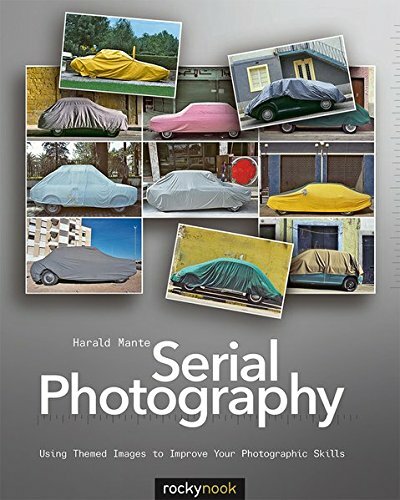 In this beautifully illustrated book, Mante presents many of his own photographic series and gives thorough explanations of the concepts behind each series, providing motivation for readers to pursue their own serial projects. Serial Photography can be used as a guide or textbook by both amateur and professional photographers, as well as by students. Born in Berlin in 1936, Harald Mante studied graphic design and painting at Werkkunstschule Wiesbaden. He taught Photographic Design at Dortmund Polytechnic and at the European Art Academy in Trier, as well as many seminars and workshops. Professor Mante has authored numerous art books and textbooks. His photographic work has been exhibited in museums and private collections world-wide, and his books and calendars have become collector's items.